Summer is quickly fading and I hope yours was especially memorable in a good way. Having just returned from our annual trip to Shediac, New Brunswick visiting my parents, I'm feeling relaxed, thankful and creatively rejuvenated. During our twelve day visit to the east coast, my husband Jim and I usually walk daily, taking the nearby forested hiking trail, down to Parlee Beach, and then onward to Pointe du Chene Wharf. It's a pleasurable ritual to always stop for lunch at the Sandbar Restaurant (below). 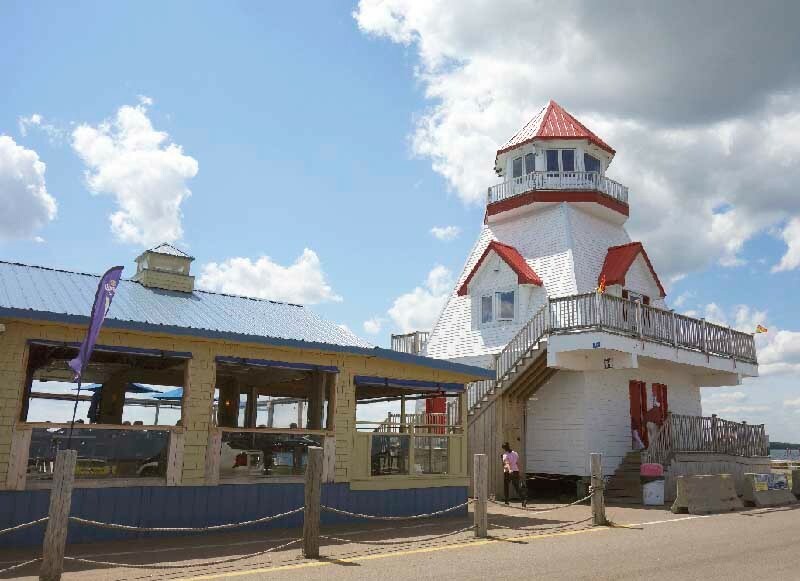 The Sandbar is a seasonal open-air restaurant right on the water, that serves Award Winning lobster chowder and the freshest, most succulent fish & chips anywhere on the planet. Yumm:) After a leisurely few hours, we walk back to burn off the extra calories, a total of 7 km (5+ miles) round trip. We generally go in August for the best weather and it seems to mark the end of lazy summer days. To me the calendar switching from August to September always stirs a renewed sense of purpose. As a result, I'm enthusiastically back in the studio painting new canvases and working on large modular encaustic wax panels. Stay tuned for photos coming soon. 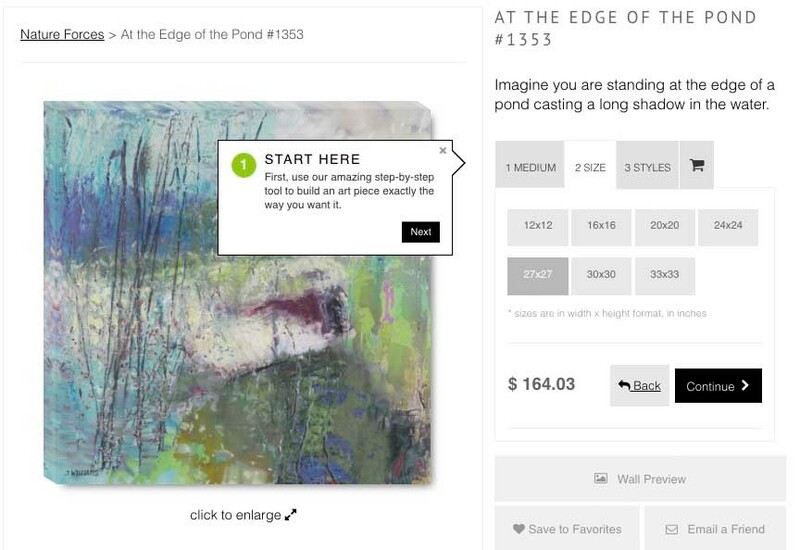 The latest version of this website offers some super cool features when you click on a painting. Did you know you can .......??? 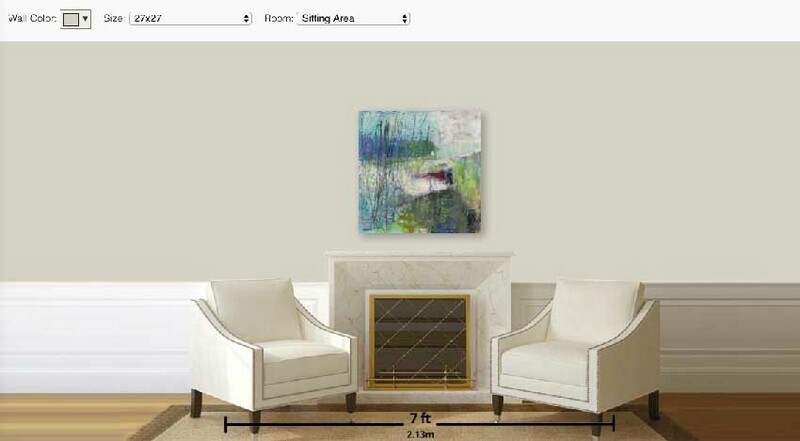 see what a painting will look like on the wall. choose your wall color in Preview Mode. 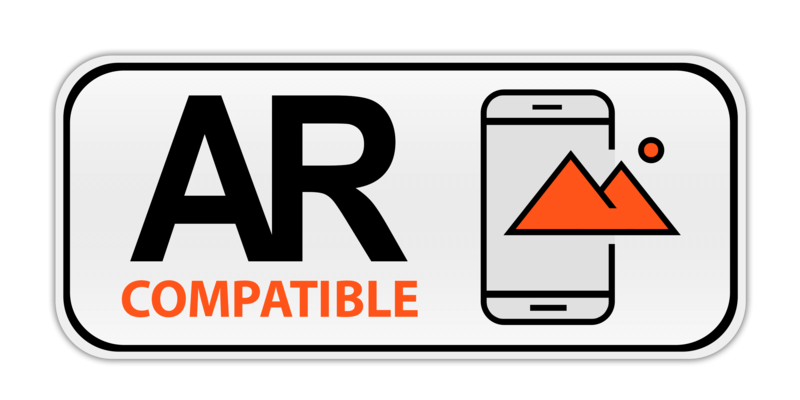 try out different frame options. examine the texture and details of a painting. save images to favorites to compare and review. email your favorite painting to a friend for their opinion. You'll be taken to a screen that gives you the Title and brief description. Along the top row of boxes select the print Medium, Size and Frame Style you want to Preview. This will update the image and price accordingly. After you've chosen a Medium, Size and Style, click the 'Wall Preview' near the bottom right side, as seen in the first screenshot. At the top of this screen, you can choose a wall color and room type which will instantly Preview your selections. These features are fun to play around with. Go ahead. Experiment and be inspired ! Want to to see my paintings in person? Be sure to contact me anytime you'd like to come by for a Studio Visit.